With significant increase in tendency of people relying completely over their computer device for storage of all the information and data, demand for more hard drive’s space is on its pinnacle. Demand leads to supply, thus companies have reacted by manufacturing as big as 1 TB drives capable enough to spin at the rate of 10,000 RPM. On the other hand, these high performance disks need more protection than conventional ones. 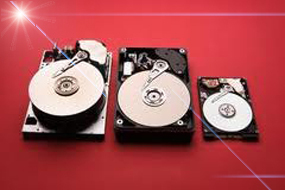 Hard drive comprises of circular tracks known as disks. Each disk’s section has several pie shaped partitions called sectors. Data is stored magnetically in these sectors. Disk errors are indicated as bad sectors’ error. You could fix hard drive errors and this article will help you in doing so. Check Disk Utility (CHKDSK) is a Window application that lets you scan your hard drive for errors. So, running CHKDSK is the easiest way to fix hard drive errors. Probably, use of this utility alone will let you fix problems of hard drive ensuring its peak performance. Double click on “Computer” to open it. Select “Hard Drive” and right click the icon of Hard drive. Click “Automatically fix file system errors” for repair process. Select “Scan for recovery of bad sectors”. A new dialog box window will appear, click on “Schedule disk check” to start disk checking. Running this utility program in every 3 months will allow you fixing hard drive errors and avoid computers’ slow down. Defragmentation is the organization of fragmented data which are placed at different chunks of computer memory leading to poor performance of hard drive. Steps involved in defragmentation. Click on “Start” button on desktop. Select “Properties” after right clicking on C:\ drive. In Properties menu, click on “Tools”. Finally click on “Defragment Now” option. Click “Programs” from start menu. Following these steps, you can fix most of the hard drive errors by yourself and also improve performance of the system. Are you working on Windows OS for quite a time, say few years? Is your computer starts lagging? Are you experiencing serious sluggish performance of your PC? Time to move a muscle as your hard drive could be in little bit trouble. This article will guide you that how to fix problems of hard drive on windows operating system. 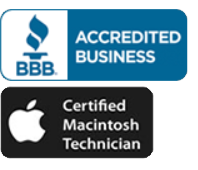 It is a known fact that the performance of your PC degrades with passage of time. Now let’s take a dig in to this problem. Every program or software you download or install get saved onto hard drive of your computer. Files, subfolders and other components take place in their own folder residing on your default hard drive. Now, the problem arises when you uninstall program from the PC allowing deletion of main components while leaving behind smaller files intact. These leftover small files result into small chunks or gaps in your hard drive. Now when you install other program on the same hard drive, then the program has to be fragmented in order to get fit into created memory gaps because of inability of hard drive to compress added or deleted files. This fragmentation leads to inefficient memory management of your hard drive with lots of unwanted files occupying space resulting in sluggish performance of your PC. There are various ways to improve and maintain efficiency of your hard drive. Some of them are listed below. This tool not only lets you locate unneeded and unused program files and deletes them but also organize other littered old files that can be compressed for storage, facilitating efficient memory management. By this point, you must have got an idea about what problem does fragmentation pose. For better organization of memory you need to use Disk Defragment Windows utility. Click on “Disk Defragment” option. After completing above two options you would have a nicer, faster and cleaner hard drive with some more free space. Overall performance will increase markedly.